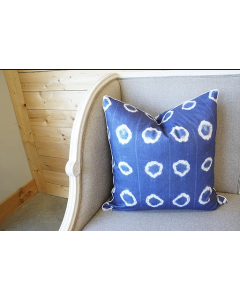 This decorative pillow is draped in the design of calming blue fronds. It measures 26” x 26”. Fabric is bone cotton. Click on image for greater detail.